Dr. Carothers received his Bachelor's degree from Michigan State University and his medical degree from the Kirksville College of Osteopathy and Surgery in Missouri. He completed his Internship and General Surgery Residency training at Detroit Osteopathic Hospital and his Urological Surgery Residency training at Martin Place Hospital East in Madison Heights, Michigan. Dr. Carothers is a Fellow in the American College of Osteopathic Surgeons and board certified by the American Osteopathic Board of Surgery. 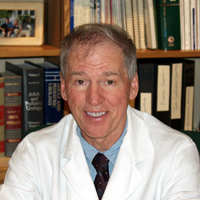 Dr. Carothers helped pioneer the use of lasers in urological surgery and introduced cost effective microscopic Vasovasostomy in the office setting.